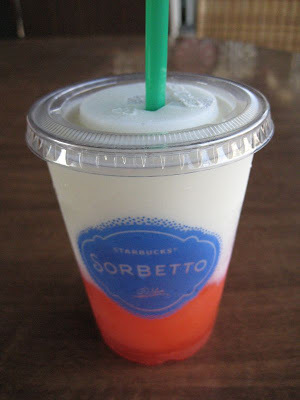 I tried Starbucks' Sorbetto a while back, when they were testing it in the southern California area. It was free. I'm not sure if it is planned to be a seasonal thing, or if it has been completely discontinued. They went for about $3 for 10 ounces and came in two flavors: citrus and grapefruit. I tried the citrus since I don't care for grapefruit. At $3 for 10 ounces, I don't think I would ever buy one. It's basically a fruit juice slushie on the bottom half, topped with Pinkberry original flavor frozen yogurt and that is exactly what it tastes like. Mixing it together just makes for flavored frozen yogurt. No surprises here. No peanut butter and jelly combination here folks. A fairly famous Cuban bakery in the Los Angeles area, Porto's Bakery has two locations: one in Glendale and another in Burbank. I've only been to the Burbank location and it's always really busy but the line moves pretty fast. 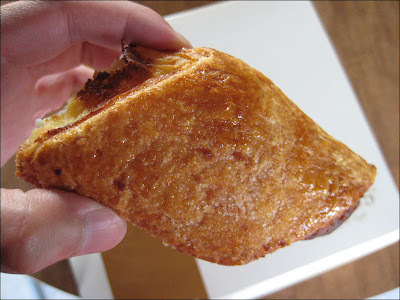 Porto's offers a plethora (including a vast selection of cakes) of baked goods at reasonable prices. They also offer sandwiches (which I'm not too fond of) and coffee (which can be quite good). 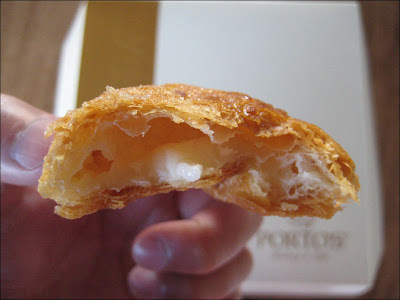 The most famous item on the Porto's menu is the famed cheese roll which is a sweet fillo dough pastry with a layer of cream cheese in the middle. People love these things and will drive miles and miles just to pick up a box. 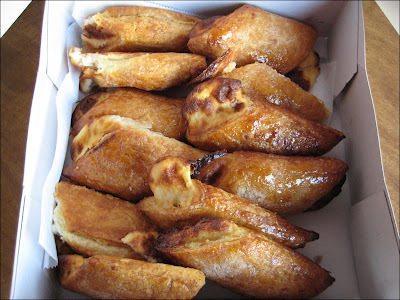 They sell like hotcakes for 65 cents each or a dozen for $7.40 which is a pretty good price for a pastry. They cost about 70-some cents each are pretty tasty. There is a negligible discount for buying them by the dozen but I think a lot of people buy them by the dozen anyway. They are great for breakfast or a snack. Best fresh but still good the next day. For those with no self-control, be careful not to eat the whole box in a sitting.